FROM A BUICK 8 - FIRST WORLD HARDCOVER. 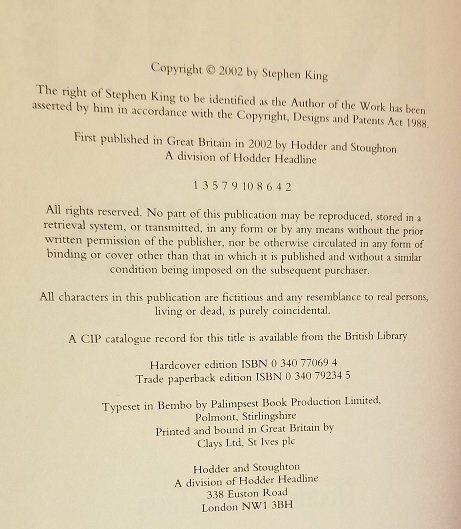 Special Author's Note by Stephen King, dated May 29, 2002. 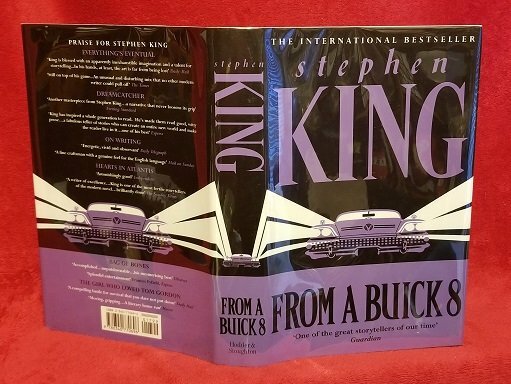 OVERVIEW: First world english hardcover edition (the US edition was released a month later). As always with UK editions, a short print run for the first edition. 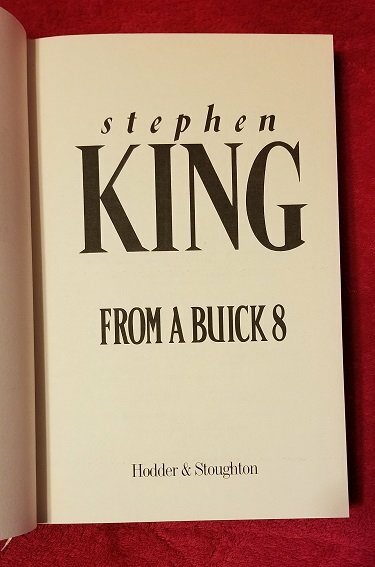 Compared with the US print run of 1.5 Million, makes this a unique edition. 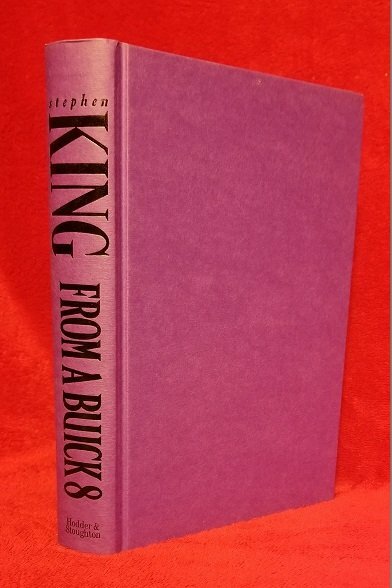 Bound in purple, with black endpapers. 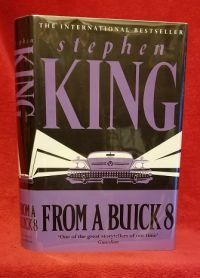 Black purple cover art, with King's photo on the flap. London: Hodder & Stoughton, 2002. First Edition. 6 X 9. Hard Cover. Unread copy, Fine with some aging. ISBN: 0340770694. 404 pp.